All the gang, capping of a great night. Robert Mulligan doing his part. Brian preparing for his waxing. Cuckoo’s Nest regular and Kerry man J.P. Barry lost his father to Prostate Cancer in October 2011 at the young age of 64. 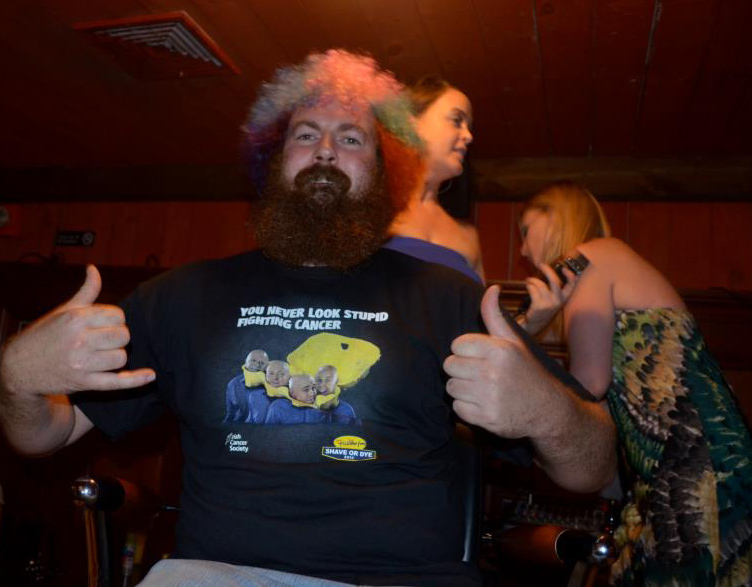 Mr. Barry decided to raise money to help find a cure, and organized the first “Shave or Dye” event at the Woodside pub. 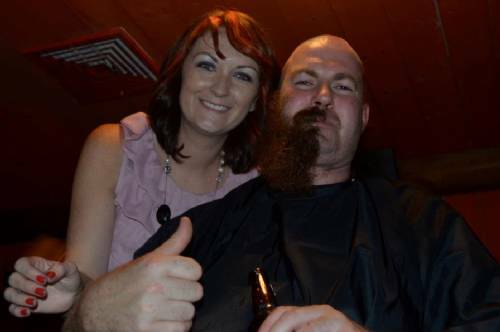 Around 300 people came down to enjoy the evening and watch their friends and loved ones shave, dye and even wax their hair for a great cause. Barry himself hadn’t shaved or cut his hair in eleven months. Participants asked friends to sponsor them to take the plunge and all funds that were raised will go to The Irish Cancer Society. 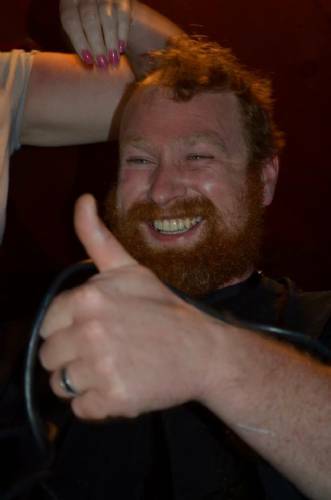 Well over a dozen folks took part in the charity fundraiser, and in the end the group far and away surpassed their goal of raising $5,000 for the Irish Cancer Society pulling in $15,000. 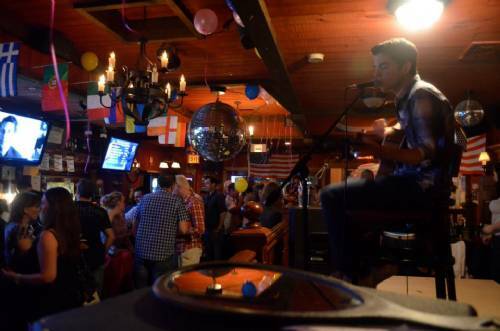 If you were unable to make this event but would like to donate to a wonderful cause you can visit – www.mycharity.ie/event/nyc or just stop in The Cuckoo’s Nest.